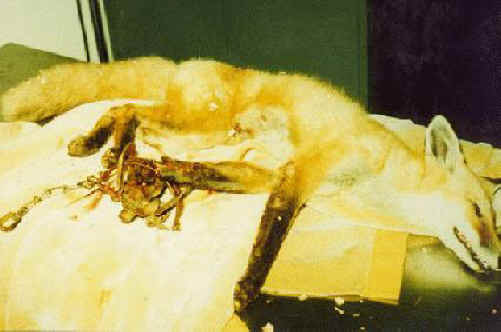 (Fox Exploitation - Fox Fur - 13) Look at how badly the leg hold trap mutilated this fox's leg. Just imagine how you would feel suffering this way until you finally died. Just because humans have the power to be so cruel, is no excuse for doing so. And, anyone who supports this "activity" is just as evil as the trapper. 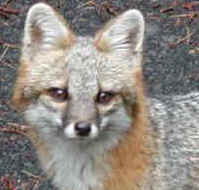 Say no to fur!